You are here: Home / Millinery Mayhem / Fascinating Fascinators! With a wedding coming up in less than a week and with no idea what to wear, I have been inspired by the ever fashionable Gertie of Gertie’s New Blog for Better Sewing who posted recently on making her own fascinator. Inspired, I too then went on a small Etsy spree. That site is amazing! I came away with this little lot, I am seriously excited about making this, I just don’t know how I am going to arrange it all! Whilst googling fascinators and how to make them, I came across the creations of this lady. She has a shop on Etsy called Velvet Owl and some of her fascinators are truly beautiful. 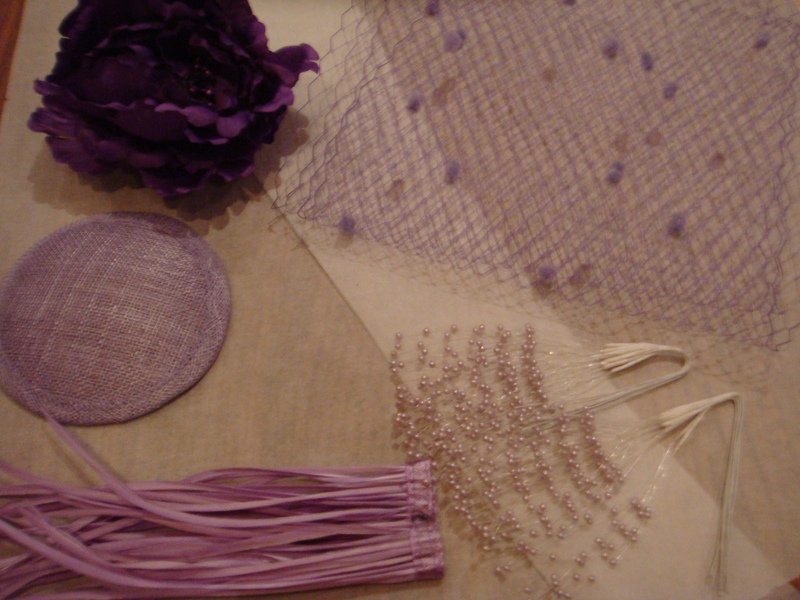 My haul include a Clip on purple flower, Russian/French 9 inch veiling in lilac, lilac sinamay round, vintage lilac pearl spray – all off Etsy. Clear hair combs from eBay. No prizes for guessing what the colour of my dress is! !